Project background information: The beautiful country of Afghanistan has an old relationship with local disputes within the tribes. They have a long history of traditionalized local dispute resolution mechanisms in which the community’s have used to resolve local conflicts in the absence of effective state mechanism. These bodies often perform crucial local functions, such as resolving land disputes, reintegrating former insurgents and promoting local governance structures. Since these TDR bodies are community-based, they are often times highly effective at analysing the conflict and coming to a resolution that is beneficial for the entire community. 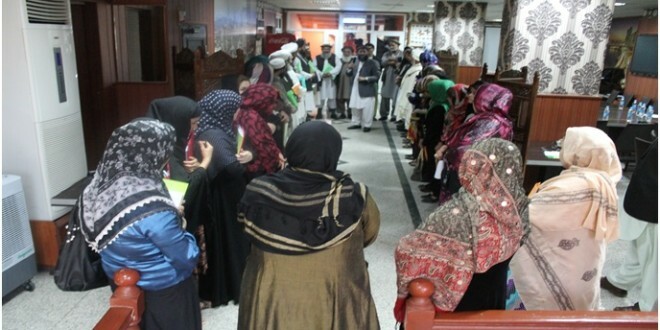 Provision of capacity and awareness building on Dispute Resolution, Peace and Women Rights for 262 people (124 Imams and community shura leaders and 138 women activists, teachers and local women shura members) in 12 workshops of three full days. peaceful transitions with time. 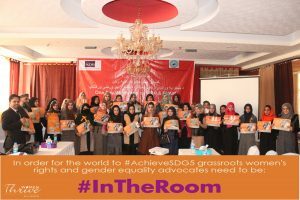 Three Community Working Group consists of active women and men of the trainees were established on provincial level. The CWG structured by the member of working group and now they are successful engage in community awareness raising and conflict management. Networking and Capacity Building: 4 days of workshop and a day of conference was In order exchange information and establish networking 40 CWG members were invited from Kandahar, Kunar and Kabul for week of conference and networking, advocacy and community mobilization. With the help of the Directorate of Ministry of Religious Affairs, Ministry of Women Affairs’ in three provinces: Kabul, Kunar, and Kandahar, we were able to finish this project successfully. NECDO Capacity building team played an active role in making this project successful, despite of all the challenges and security risks.